A practical guide for anyone interested in developing and maintaining an effective and Biblically-based security ministry. 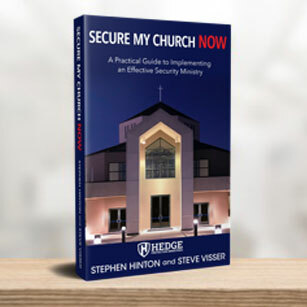 It is our sincere prayer that you will find the knowledge contained within these pages a valuable resource for you as you set out to protect your church family from those who would seek to harm it. We’re thrilled to assist you and your team in the implementation and maintenance of an effective security ministry. This book is right on, biblical speaking; excellent spiritual application; I'll want to take this and teach it in a small group at our church hoping to get more involved in the ministry of providing a safe environment for our church; I want to thank you for the work and faithfulness you have put into this vital ministry that is needed in the times we are in. 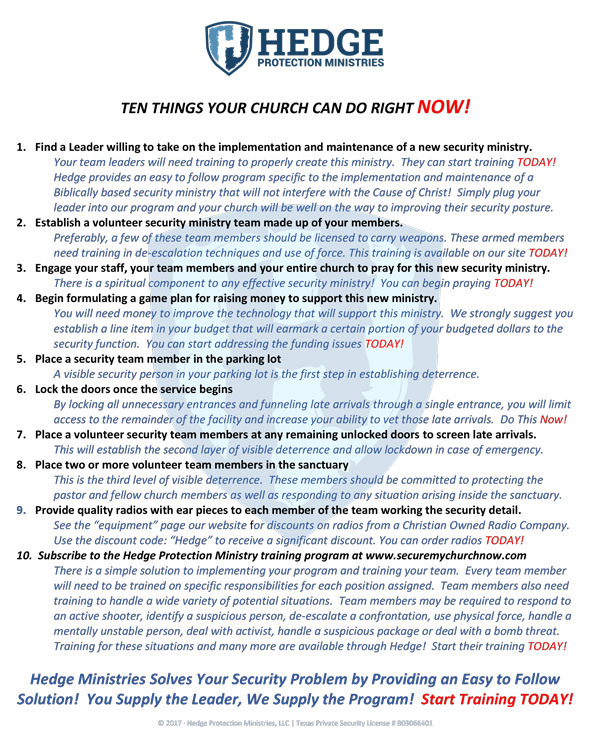 Very well written and a good guide, especially for a small church that is looking to start a security ministry. Very thorough. I have participated in the implementation of this program in my own church and can attest that it will work in any size church. The principles and techniques they teach are an effective deterrence to crimes against churches regardless of size.